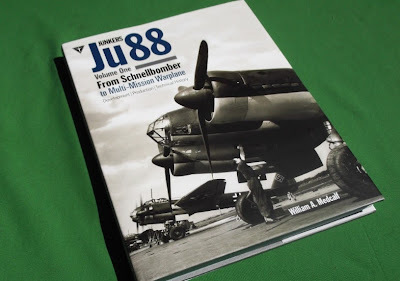 As my review will seemingly contain lots of apparently negative criticism, I must begin by saying that as a whole, this book gets 4 stars out of 5 and that if you have any interest in the Ju 88, do yourself a great favour and buy this book. I also have to mention that my primary interests concern engineering features, performance, handling, production engineering and combat experiences (e.g. how a particular feature fared in combat service) and thus may not reflect the interests of other readers. Physically the hardcover book is of large format (about A4) produced in Bulgaria and has some 328 pages printed on excellent coated and glossy paper throughout allowing the copious amount of illustrations their due. This reviewer has sometimes in the past criticised Classic books’ layouts, but not here ; it is excellently readable without any excess areas of blank space. The first impression when browsing through the book is that there are plenty of excellent and most helpful illustrations. Especially those drawings taken from various Junkers manuals offer a nearly complete view on the structure and systems layout of the aircraft. Unfortunately there is a major shortcoming here as most of the explanatory keys in the drawings are not translated, so a reader with zero knowledge of German does have a handicap, though sometimes one can deduct the meaning. Considering that the descriptions of the airframes and their systems are pretty much left to the keys alongside the drawings, this lack of a translation is a not insignificant shortcoming. William Medcalf writes in a clear and quite impartial manner. Even a relative newcomer to the subject would find the text readable. However, given the author’s background as an experienced pilot and engineer, there are some oddities and gaps in the text which in my view leaves the work lacking somewhat. First, there are many remarkable gaps in the text. For example, nowhere in the book could I could find data as to what the Ju 88’s wing’s profile was. There is some dimensional data in the drawings, but the text mentions only the aspect ratio, but nothing on the profile or wing thickness. There is data on the structural strength of the Ju 88, but for some reason, Medcalf does not state at what weight the given figures are valid. Two views via Jim Crow of Ju 188 D-2 WNr. 0541, flown to newly-liberated Luxembourg on 29 October 1944 and deliberately crash-landed by its defecting pilot. View above reproduced on page 315 of Medcalf's Junkers Ju 88 Vol 1 Schnellbomber, lower view of the same machine unpublished..click on the images for a full-screen view. As is the case in many other books on German bombers, this book also suffers from a lack of engineering details on defensive weaponry. While there is a manual drawing of the upper turret of the Ju 188, there is no data on what kind of electric drive it had, what was its rotation and elevation rate, how thick was the armour etc. There is insufficient discussion of flight testing and its results. For example, on page 28 it is stated that initial impressions were positive, but that’s it: there are no quotes from those reports, no detailed analysis of those results. On the same page the crash of the first prototype is reported but there is no data on why it crashed, let alone any detailed analysis of the crash. There is one colour profile of a Ju 88 sent to the Soviet Union. The caption to the profile states it was evaluated in the USSR, but nowhere in the book is any data on the results of those tests to be found.There are two chapters dealing with comparisons to other aircraft performing similar missions. A superb idea, but lukewarm execution. There is surprisingly little analysis apart from a table comparing some basic data and data on the percentage of useful load to gross weight. What is more, for some reason that I fail to understand, the Ju 88 is not compared to the B-25, B-26, Ki-67 or the Do 217 but is compared with the A-26 and Yokosuka Ginga! Especially odd is the lack of comparison to the Do 217. These sections represent a lost opportunity. There is thankfully a nice chapter on flying the Ju 88 (and 188/388). However, this was something of a disappointment as it so heavily relied on Allied reports and the Ju 88 manual. Again, not a single Luftwaffe or manufacturer test report quoted. Devoting one full page to what British test pilot Roland Beamont said about his flight in the Ju 88 is in my opinion padding. On page 70 there is some discussion on the problems encountered in Finnish service. This sidebar is a bit of a puzzle. Medcalf speaks of reports recently surfacing that a Finnish engineer who examined Ju 88 wings concluded that the skin wrinkling must have been due to a design error. However, this claim has no source note, and the Finnish source quoted a bit later does not discuss the topic at all. There is a possibility that this reviewer’s posts year ago on a Luftwaffe board may have something to do with it. I based my comments on a Finnish book by Jukka Raunio, an aircraft engineer by profession. However, he did not examine a single Ju 88, so there might be a misinterpretation of what I wrote years ago. Now, since I got this new book, I contacted Mr. Raunio. 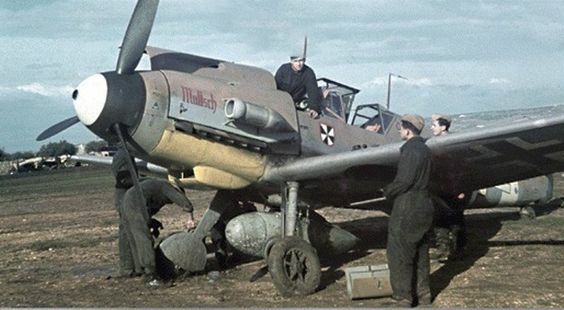 He told me that his source for the structural problems, including permanent deformations of wing upper skin fields, were Finnish Air Force Technical Bulletins, many of which were direct translations of Luftwaffe Technical Bulletins. These bulletins are by default very reliable references. In other words, Medcalf’s theory of linking landing accidents* to those skin wrinkling problems rests upon speculation, not facts. So, in summary, I do have plenty of criticism on aspects of this study of the Ju 88 that many readers would possibly not consider particularly important. Even so I do recommend the book with these stated reservations - if you are not a gearhead, feel free to ignore a proportion of my comments. And if you are a gearhead, do buy the book, at least for those technical drawings!